When I started in my mediumship journey I had no idea that spirit communication would feel like playing a game of charades! On top of that, I often couldn’t figure out which Spirit was giving which information… at times, I’d have up to eight Spirits sending me information all at once! I felt like a waitress working in a busy restaurant with everyone shouting at me at the same time. Salt, please! Where’s my check? I didn’t order this! Is this soda a diet? I ordered a diet! But then, I learned a strategy to ORGANIZE my mediumship. It’s called the CERT Method. And that’s when I came out of the chaos and into the clear. What I recommend you do is practice this technique on friends or using some old photos of ancestors to get the hang of it. It takes a little bit of practice to get used to, but the more you use this method, the easier it gets. OK, first things first. When you go to see a new doctor, what is the first thing that happens? Usually, a secretary hands you a clipboard with a form on it asking for basic information such as your name, address, and date of birth. Establishing the “basics” about someone in Spirit is a great way to start spirit communication, too! Link with the Spirit and focus on their characteristics. How do you do that? Ask them. Remember, spirit communication is just that… a form of communication between you and spirit. You’re totally allowed to ask them questions and get answers. If you’re clairvoyant, you might see an image of the person in your mind’s eye . If you’re clairaudient, you may hear things. A clairsentient might “sense” these characteristics. I see a tall, lean man. He’s about six feet tall with curly brown hair. He’s got a gorgeous smile and was always the “life of the party”! Evidence in a mediumship reading is super important. People want to know that you’re talking about their lean man with curly brown hair that was the life of the party – not just any Spirit that fits the bill. Anything unique about the person, such as: Coin collector, had a butterfly tattoo on their lower back, loved the band Journey, etc. Again, ask Spirit for this kind of evidence. Learning to ask questions will give you more control over your readings, and allow your sitter to feel as if they are having a visit with their loved one. It will also help your readings to have more flow. Tip: You don’t have to ask Spirit questions out loud. Spirit communication is very telepathic. Characteristics and evidence are important, but the absolute most important thing to pass along when working with mediumship is the message. Characteristics help people feel validated that you have connected with the right Spirit. But relaying the messages from Spirit is what our work as mediums is truly all about – giving a voice to those in Spirit. EVERY reading must contain a message. It’s the heart of the reading. Once you practice and learn CERT, you’ll have a good, strong link to Spirit and will be able to get detailed and accurate messages that can help your clients find comfort. Messages can be heartfelt, have depth, and even be funny. What do you want your loved one to know? What message do you have for your loved ones? The sky is the limit when it comes to Spirit messages. Some Spirits may want their loved ones to know something about their passing. Others want to share special memories. Mom, please don’t worry. I was pulled out of my body before I was thrown out of the car. I didn’t feel any pain. I’m OK.
Read: What if the Spirit I want to Communicate with Didn’t Speak English? Tying it up is easy. If you’re giving a one-hour reading, you want to start winding down the reading 5-10 minutes before the end of your session. Check in with your client to see if they have any final questions or concerns. Take a moment to make sure they don’t feel confused about anything. Check in with Spirit to receive final messages. 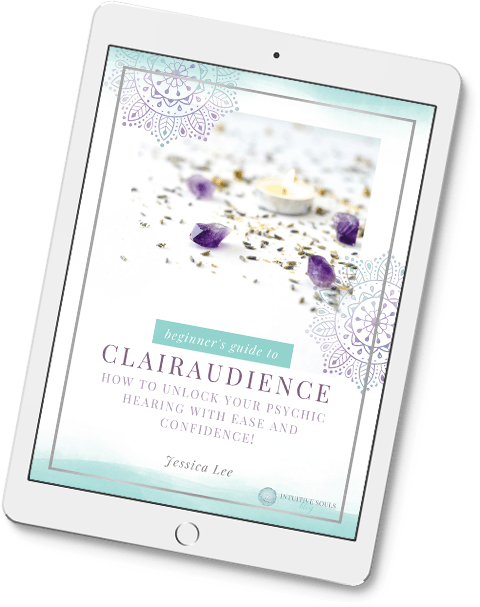 During the mediumship reading, you want to aim to give your clients a feeling that they’ve just had a visit with their loved one in heaven. Me? I gently start winding down a few minutes before the end of our session and let people know that our session feels complete. Then, I ask them if they feel complete as well. I hope you find the CERT method helpful, and that it takes your mediumship from chaos to clear! Thank you! This is great. I am starting my journey as a psychic medium healer and this info is just validation that i am doing things right. Somehow it comes natural to me but is always good to have that feeling of approving your own work!